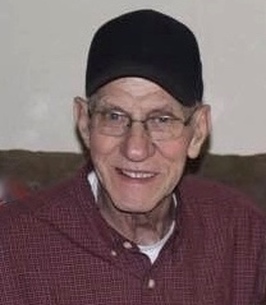 James Otis “Ode” Stacy, age 79 of 1034 Midland Road, Grundy, Virginia passed away on Monday, February 18, 2019 at his home. Born October 28, 1939 at Grundy, Virginia he was the son of the late Kether Stacy and Allie Charles Stacy. He was a retired coal miner. In addition to his parents, he was preceded in death by his wife Betty, four sisters, and three brothers. Funeral services for James “Ode” Stacy will be held on Friday, February 22, 2019 1:00 P.M .at the Virginia Funeral Home Chapel with Eugene Whited, Keith Harris, and Curtis Crouse officiating. Burial will follow in the Cooper Cemetery, Panther Ridge Road, Grundy, Virginia. The family will receive friends Wednesday and Thursday evening 6:00 P.M. at the Virginia Funeral Home. A service will be held at 7:00 P.M. both Wednesday and Thursday evening. To send flowers to the family of James Otis "Ode" Stacy, please visit our Heartfelt Sympathies Store.